I have a Nikon D750. I am interested in all kinds of photography. I like to do "close-ups" of bugs and flowers but I also want to start trying portraits. I have been looking at both the 105mm f2.8 VR and the 105mm 2.8 VR Micro. Does anyone have experience with both? Please let me know any pro's and/or cons of either one. I do not have the newer 105’s. Mine are the older f2.5 and micro f4. What I can say that is hopefully helpful, is that if not needing micro focusing ability the normal one may do just fine. One (the micro) offers more versatility. That’s been my experience. Hope this is useful. Nikon has a long history of producing excellent 105’s. Good luck sorting it out. I had the AF-S Micro Nikkor 105mm f/2.8G lens and it is a very good lens. I now use the AF DC Nikkor 105mm f/2D lens. The Defocus Control makes wonderful bokeh. What is the closest focusing distance for the 105mm f2D? I think that the OP will need to get to somewhere in the range of 6-8 inches to get to true 1:1 macro. I think the minimum focus distance is about 2 1/2 to 3 feet. It will not give true Macro, though the OP said close up not Macro. If the OP doesn't need 1:1 it's worth a look, especially if he is looking to getting in to portraits. I have and use the AF-S Micro Nikkor 105mm f/2.8G lens. 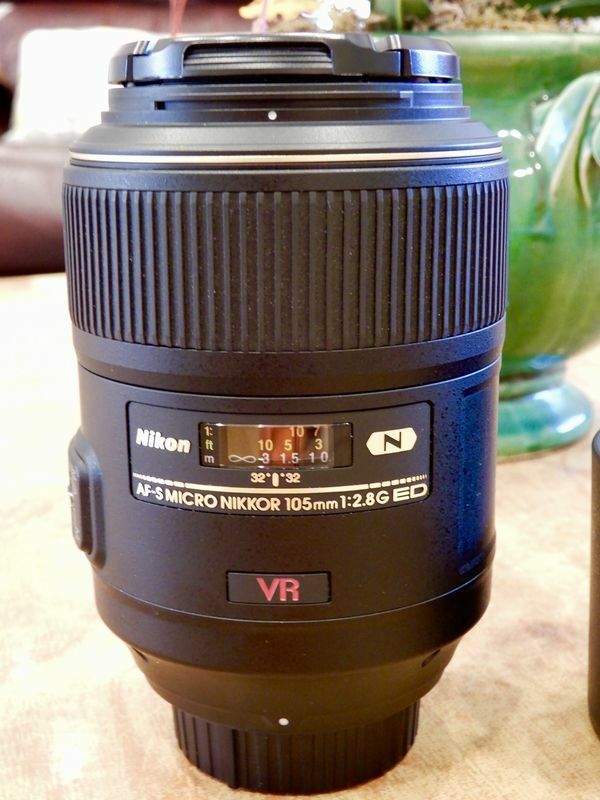 It is a super sharp lens and and would be good for portraits as well besides flowers and bugs.Welcome to the forum. Thanks. 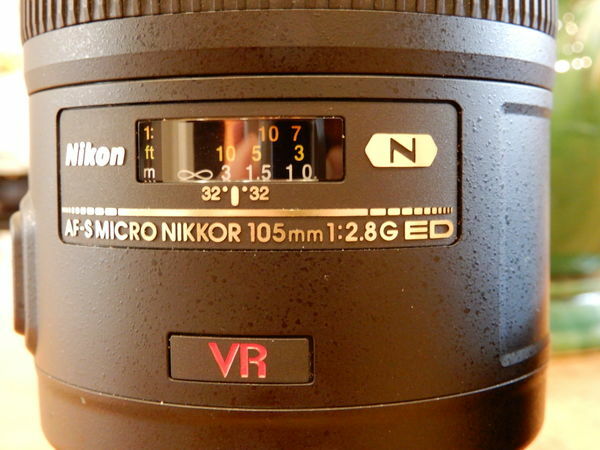 I've had a 105 2.8 VR Macro for several years and have used it with good success at all distances. Even took it to the San Antonio Botanical Garden once as my only lens. I can recommend it highly, but have no experience with the other lend. I have the 105mm f2.8 VR AF-S Macro. It's a better lens than I am a photographer. And I like to think I'm not doing too bad as a photographer. I had a 105mm on my older cameras and it worked beautifully. I recently bought a FX camera (Nikon D750) and wanted an FX lens as well. I researched several choices and decided on the Tokina Macro 100mm f2.8. It had very good ratings, works great as a close-up and as a portrait lens, and was substantially less expensive than the Nikons and others. Not sure if you saw this, I am selling a Sigma 105 F2.8 for Nikon. I am selling this because I just don't use it anymore. It is a great lens for macro, portraits. Lens is in great condition, minimal signs of wear. I have always had lens caps on when not on camera. I am asking $375 plus shipping to continental USA. Photos on request. [quote=TMurphy71]I have a Nikon D750. I am interested in all kinds of photography. I like to do "close-ups" of bugs and flowers but I also want to start trying portraits. I have been looking at both the 105mm f2.8 VR and the 105mm 2.8 VR Micro. Does anyone have experience with both? Please let me know any pro's and/or cons of either one. I happen to have the lens that you're interested in. I bought it new from B&H in Feb. '14 and like a lot of my gear I barely ever use it. I have all of the receipts and boxes and lens caps and anything that came with it. It's indistinguishable from new. It went for $980. I'd sell it to you for $625 and you pay shipping. I just checked B&H and they give it a 4.8 star rating using 1038 reviews. I had no intention of selling it until I saw your post today. If you're interested I'm sure I'll hear from you. A portrait lens is not necessarily a micro or macro lens. However, you can use a Nikon 105mm f2.8 micro lens as both a portrait and macro lens. Macro lenses are at their best having a 1:1 magnification. I have a friend who owns a 90mm Tamron macro f2.8 lens. He uses it primarily for macro. He let me borrow it for one day to do a portrait shoot of some Veterans at a picnic. It worked great. I hated to return it, because I was using my Nikon 50mm f1.8G for portraits. Which is good on a crop sensor. 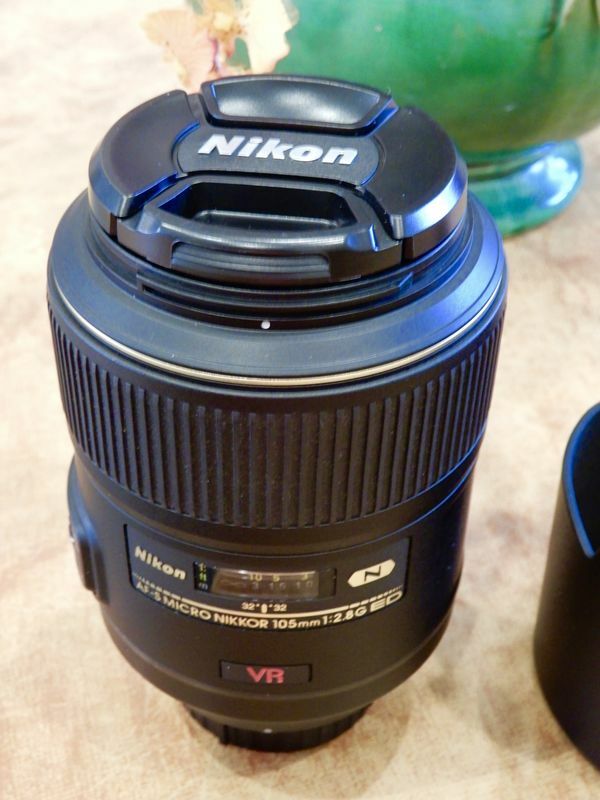 I suppose if you want the best Nikon portrait lens. You could purchase the expensive 105mm f1.4. Your D750 is full frame. So you have the best lens to camera compatibility. I could be missing something but I do not believe Nikon makes a 105mm f2.8 VR. Nikon makes several 105mm f2.8 VR Micro lenses though. I am still using a 105mm f4 AI-S Micro lens from the 80's and it is excellent for portraits and macro photography. The old 105mm f2.5 is still a great portrait lens.